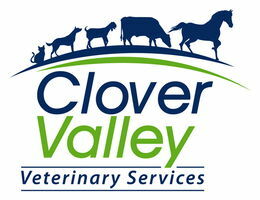 Senior wellness exams at Clover Valley will prevent conditions and diseases that are common during the later years in life such as bone and joint problems, hormone disorders, cancer, and diseases of the kidney, heart, and liver. Because dogs and cats age much faster than humans, we recommend biannual exams for senior pets to screen for any potential underlying conditions and early prevention of age-related health problems. A complete review of your pet’s medical history including recent changes in weight, appetite, water-intake and elimination, diet, medications and supplements, behavior and activity levels, and any indications of pain. A full physical examination, including a dental evaluation. Comprehensive diagnostic testing that may include a blood profile analysis (blood count and blood chemistry panel), urinalysis, x-rays, thyroid hormone testing, ultrasound, or other tests depending on the needs of your pet. We are here to help you in providing your pet with the best and most comprehensive senior veterinary care so that he or she has the healthiest and happiest quality of life throughout their golden years. That’s why we recommend that mature dogs and cats receive an exam on a biannual basis. Prevention is the key to keeping your pet happy and healthy for years to come. If you notice any unusual behavior or changes in your dog or cat, such as change in appetite or bowels, sudden changes in weight, signs of pain, or lethargy, please call us right away. Your pet may be developing an age-related condition that should be addressed right away.